Curtains Up! Harriet loves her ballet class, but when Miss Betty announces a recital, Harriet succumbs to a bad case of stage fright. She worries about falling. She's afraid her costume will rip. And she's positive that she'll forget every step of her dance as soon as she steps on stage. 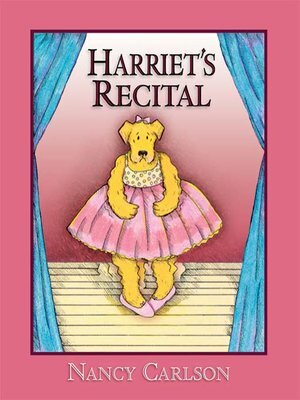 Young readers are sure to recognize some of their own fears in this hilarious story of Harriet's first recital.